no noises from it so that is of no help. 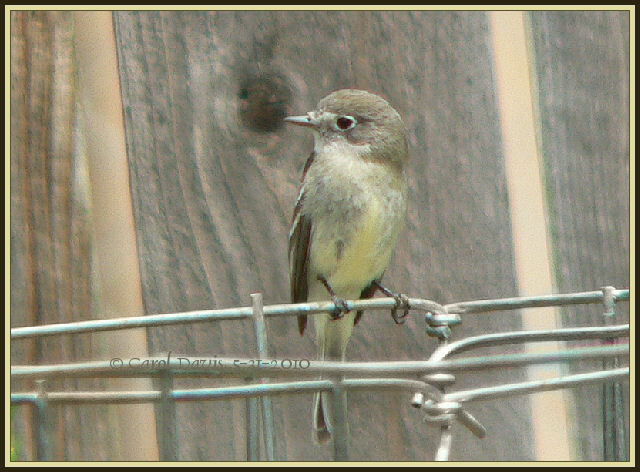 This little flycatcher has white or grayish white under the chin which goes quite far back under the cheek. a tiny flycatcher, but not a large one, either. rest, the tail bobs downward and then comes up, which is another trait of the Gray. 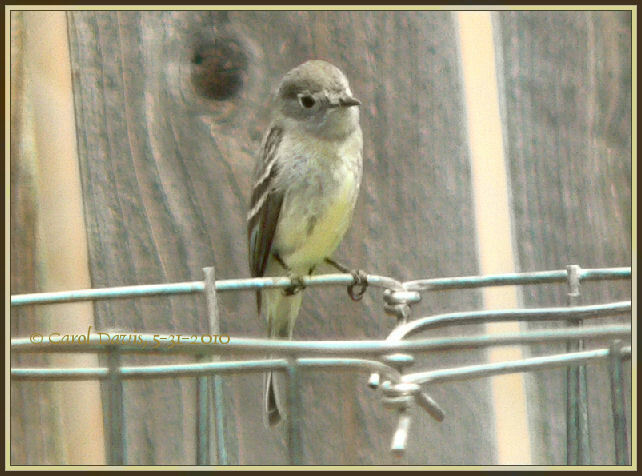 has a solution to this flycatcher dilemma, let me know (birdbrain@amazingnature.us). 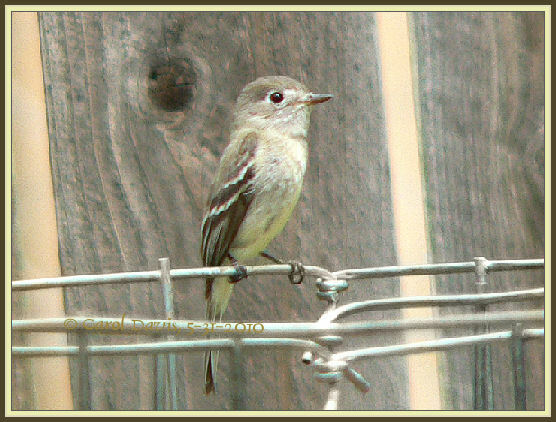 people want to venture forth a guess since flycatchers are so hard to ID.